​Unless you remember what it’s like to be a child, you might have a hard time writing for one. If your characters aren’t culled from the swirl of emotions you felt every time anything happened when you were a kid, your young readers might not stick with you. When you’re writing for kids, write for yourself. The person you outgrew years ago, but who’s still hanging out somewhere inside. Funny thing, when you really get into writing for kids, it kind of wakes you up. It’s as if that child is snoozing in there, hibernating under a blanket of all of the ‘shoulds’ that we tend to weigh ourselves down with when we get jobs, houses and kids. You’ll know you’ve nailed that cafeteria scene when something inside you stirs as you type the final word. If you once sat on your bed with your ten-year old best friend whose mother just died and you didn’t know what to say, you’ll know you’ve captured that awful day when your eyes blur as you watch the scene unfold on your screen. Or unless you're writing for yourself. If that’s the case, do whatever feels good and throw it in a drawer when you’re done! But maybe you’re not ready to let go. If that's the case, there are ways of prolonging that special reading time as your child advances through the middle school years. By choosing the right books, he or she will continue to look forward to a bedtime story with you. The trick is to choose a book that keeps your child engaged, but for one reason or another, doesn’t tempt him or her to keep reading when you’re not there. Maybe the language is arcane, or the print is too small. The book itself is heavy. There aren’t any pictures. And the plot is s-o-o slow. Sounds like a yawn, doesn’t it? Think again. What we’re talking about here is literary fiction. Children don’t often pick up this kind of book, but the classics cast spells that few children can resist once they get started. Check out some of the time-honored tales listed below and settle in for an entire season of sharing one really good book with your child. 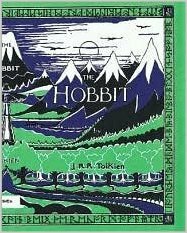 Children’s books: Very few books create the sense of place that Tolkien does in the Hobbit. Even children who are impatient with too much description will be riveted by the magical places they go in this hero’s journey. And who can't fall in love with Bilbo Baggins? He speaks to the tiny, small self in each of us, that self that has such potential for greatness. Children’s books: If your child likes cozy places and talking animals, he or she will love exploring the countryside, meadows, caves, brooks, rivers and streams with this motley crew of colorful creatures. Children’s books: Poor Diamond. So cold and miserable in his little loft, where the icy wind blows through cracks in the wall at night. The perfect setup for something magical to happen! 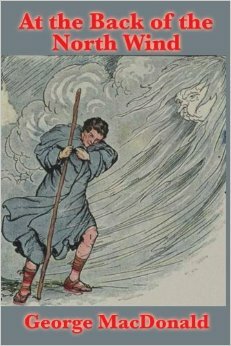 Children's books: It was a dark and stormy night…this book is scary! A great love story, too. But keep your smart phone by your side. The vocabulary is so esoteric you will need a dictionary throughout. Children’s books: A scrappy boy with an endless wit who is always in trouble. ‘Nuff said. 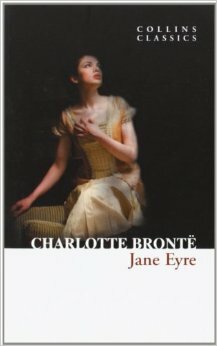 Children’s books: If your child is a hopeless romantic, the unrequited love between Heathcliff and Catherine will be sure to satisfy. 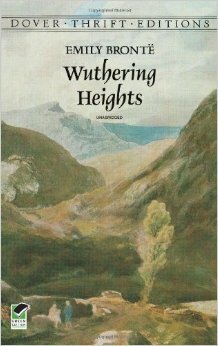 English moors, lovers who can’t have each other and tragic deaths, this book has it all. Six Steps to Teaching Your Child to Read. Only Six. There are as many ways to teach a child to read as there are little brains that need teaching. That’s what the literacy experts are charged with figuring out. How to make sure everyone gets a fair shot at learning to read. But let's say you’re not a literacy expert. You’re ‘just’ a parent. Do you really need to know all that stuff to teach your child to read? In many cases, no. All you need is a simple, six-step process to turn your child into an independent reader. That’s the cool thing about phonics. It’s sequential, and it’s easy. If you just follow the six steps below, most children can easily learn to read. Even if you ONLY complete the first two steps of your six-step reading program, your child will start first grade at the head of his or her class. But please let your child take all the time he or she needs. Stick with your program and over time you will see results. 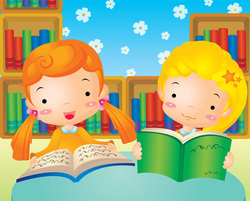 Free resource for you to teach your child to read. First, teach your child the sound of each of the letters of the alphabet. Before your child can learn to read, she must be familiar with the sounds of the letters. Knowing the name of each letter is not necessary. In fact, throughout the process of teaching your child to read, you will want to refer to the letters only by their sounds—never by their names. When I was teaching my kids to read, I’d say “Let’s do some sounds.” If you don’t know how to pronounce the sounds of each letter, use my free eBook: Can I Teach My Child to Read? A Parent’s Guide to log in to my reading program (also for free!) so you can hear how each sound is pronounced. Once your child knows all of the individual letter sounds, he will be ready to learn how to read. In STEP 2, you will add sounds together to make words. Combine individual sounds of the letters to form words that are familiar to your child. Once your child 'gets' how to sound out a few simple words, he or she will officially know how to read! After reading short words, you will move on to practicing phonetic blends, such as 'sh,' 'th' and 'ing.' In this step, your child will become familiar with the unique sounds of combined letters. The object of this lesson is for your child to recognize instantly that the sounds of the letters he now knows so well change when they are arranged in certain combinations. (For example, 's' and 'h' sound quite different when combined into 'sh.') Other than introducing new blends, STEP 3 works exactly like STEP 1. The combined sounds that your child now knows will enable him to read LOTS of words. You will see this everywhere you go! STEP 4 proceeds exactly like STEP 2, only the words will include the blends your child has now learned. Now you need to introduce the difficult concept of the long vowel sound: the 'a' sound in cake, the 'e' sound in green, the 'i' sound in ride, the 'o' sound in tote, and the 'u' sound in blue. Although the concept is complex, your child has already mastered a task far more difficult—the basic ability to read. You will be surprised at how quickly your child catches on to this new concept. But as your child’s teacher, this step could be a bit tricky for you. In Teach Your Child to Read™, we use a proprietary method to do this. If you aren’t quite sure how to introduce this concept, you may want to refer to a teaching program for guidance. Now your child is ready to read! Take a look at the Bob Books or Dr. Seuss—two great book series that contain ‘phonetically correct’ words that your child will be able to read—and enjoy. Can I REALLY teach my child to read in six steps? If it sounds like I’m oversimplifying, look closely at the six steps above. Do they make sense to you? Sure they do. You can easily figure out how to get started. All you need is a dry-erase board and a wipe-off cloth and you’re ready to begin. Don’t feel like you need to know everything before you begin. Just start with STEP 1. And if you want to make it easy on yourself, sign up for a free trial of Teach Your Child to Read™. Everything you need to know is in the program. You can either stick with the program or learn from the program and do it on your own, but you CAN teach your child to read. So what is the worst case scenario if you give it a try? Nothing happens. No harm, no foul. But try thinking big. Imagine the best case scenario. How will you impact your child’s life by giving your son or daughter an early start on this most crucial skill? I think we all know the answer to that one. If you are a fiction writer, chances are, you spend a lot of time in solitary confinement. When everybody else is at the mall on a lazy Saturday afternoon, you’re hunched over your computer, typing. When your spouse is running a “Mad Men” marathon on Netflix, you’re still on that dang computer. You miss kids’ soccer games (Can you cover this one, honey? ), you don’t exercise and even when you’re not writing you’re scrolling plot lines through your head. Sounds miserable, doesn’t it? That's because it is. Don’t do it if you don’t have to. There are plenty of people who talk about writing but have trouble sitting down to do it. But here, I'm talking about the ones who have a hard time tearing themselves away. Interruptions: You’re at your computer again. (When are you not at your computer?) You son needs a ride to practice. It’s time to start dinner. The phone rings, and you let it roll over. You’ve almost got it, but the outside world keeps driving you crazy. Obsessing: Your fictional construct becomes more interesting than your real one. Even when you take breaks—or a whole day off—the transition from what you’re writing to what you’re living is never complete. You carry with you a chronic feeling of anxiety, one that can only be eased by sitting back down to write. 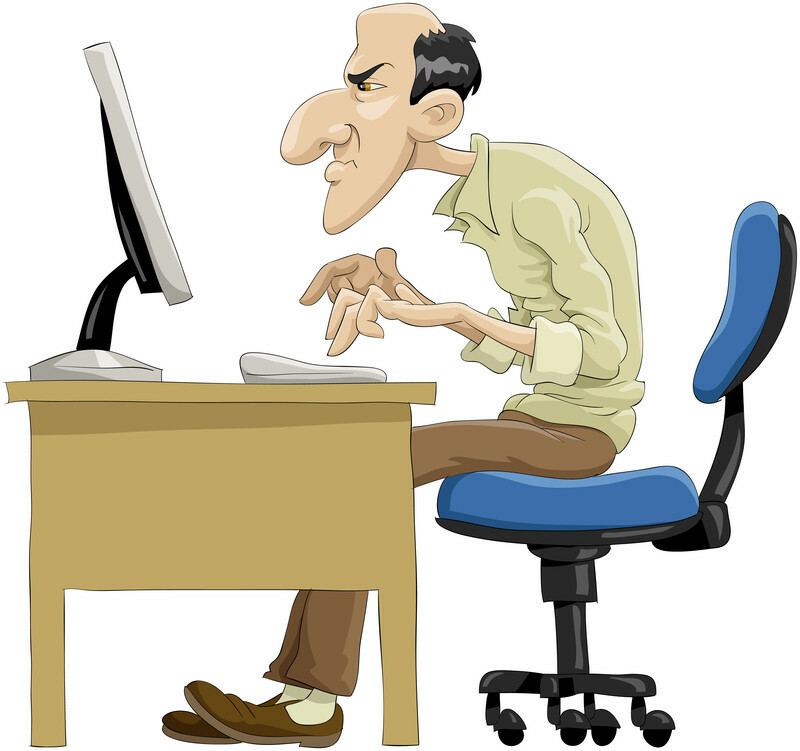 Whether you’re a published author or writing for yourself, if you’re falling prey to this type of writers’ malady, it's something you need to take care of. Otherwise, you're at risk of losing your life to your passion. First of all, get used to the idea that for some reason, your time on this planet has got to be about writing. Phrases, characters and stories are forever populating your head. Organizing them on a page is the only way to deal with this tsunami of thought that won’t leave you alone. But it doesn’t have to ruin your relationships. Or your body. Or your life as a ‘normal’ person. The single most valuable tool for managing a writer’s life is a calendar. Put blocks of time on your calendar for writing and make sure to leave the job at quittin’ time. Ironically, scheduling your time on the computer will help you write better stuff. If we were all to be honest with ourselves, we would have to admit that our muses get tired after a few hours. And so do our bodies. If there is anyone in your life that undermines the time you spend in front of the screen, your writer's calendar also sends the message that writing is important to you. There is nothing like a schedule to demonstrate that writing is your priority. Figure out what time of day and days of the week are your most productive writing time and block out as many time slots as you need. But beyond scheduling your time, it’s important to identify your personal triggers and plant safeguards to help you overcome them. Exercise: The best way to make sure you get to that 1:30 yoga class is to put on your yoga clothes, get your mat ready and fill your water bottle before you sit down to write. Part of stopping your work to exercise is the unpalatable list of things you need to do before you even get out the door. Get them all done up front. At 1:15, grab your stuff and go. Interruptions: You can seriously reduce interruptions by posting your writing calendar so that everybody who needs your services will know when they are allowed to start bugging you. (An added bonus is that some of those people might learn to become less needy.) And now that you're scheduling your writing, the mandatory stuff will get done (dinner, homework etc. ), since your writing time no longer overlaps with the critical things you need to do. -Meditation can help you train your brain to respond better to the moment at hand. -You can perform a ritual when you finish writing: Walk through an imaginary portal and leave your story behind to be picked up later. -Practice presence. Notice the way the light is coming through the window, the sound of your children carrying on or the feel of grass on your feet. If your writing is robbing you of your life, you (and the people who care about you) will begin to resent it. Whatever your triggers are, identify them. Put some sort of support network in place to help you change your automatic responses. There is a prevalent myth that says artists must be tortured. Not true. Anyone can be tortured. And anyone can be free, too, it they put their minds to it. You CAN teach your child to read. If you are a parent who wants to teach your child to read—but aren’t sure how—read on. Most of us believe that every child deserves to learn. But sadly, many never do. According to the U.S. department of education, 32 million adults in the United States cannot read a simple newspaper, menu or this blog. Illiteracy is one of the highest contributors to unemployment, dead-end jobs and low self-esteem. Why can’t these people read? Schools do not have the funds to provide the individual learning style a student may need. A child may be struggling with other issues when the complex task of reading is introduced. Does a first-grader have difficulty following instructions? Sitting still? Seeing the whiteboard? Many early learning methods do not focus on phonics. Without phonics, reading becomes a guessing game for kids. And as with any game, some kids are good at it and some aren’t. Reading is not just a subject in school. Reading is fundamental to every curriculum your child will take throughout her academic career. As your child grows, she will use her reading skills to ride the subway, fill out a job application and keep abreast of what is happening in the world around her. You can never go wrong in your efforts to teach your child to read! How far you get is up to you, but getting started early could make all the difference for your child. I'm not a teacher. How can I teach my child to read? Many parents are intimidated by the idea of taking on such a daunting task. Only teachers know how to teach kids to read. I can't teach my child to read. Right? Think about this. Who taught your child how to talk? Share toys? Get dressed? You don't need a teaching certificate! You've been acquiring credentials since the day your child was born. There are plenty of outstanding tools on the market to help you teach your child to read. And they are only a keystroke away. Or, you can take a look at Teach Your Child to Read™—a simple, six step online reading program designed (by me) for parents (like you). Whatever works for you, be confident that you are exactly the right person to introduce this life skill to your child. What about phonics? I'm sure I don't know how to teach that! Even if you didn't learn phonics in your elementary school years, you do use it every time you read. English is a phonetic language—your brain figured that out years ago. If you're reading this, you know phonics! What is the best age to teach my child to read? Many parents start the process at age 3, but the real answer is, when you and your child are ready to begin. If you are having fun teaching and your child is having fun learning, then you have chosen the perfect time to begin. If you sense your child needs a break, skip a few days, then reintroduce your lessons for a fresh start. And if it means putting your materials away for awhile, that’s OK. There are no deadlines. As long as you let your child set the pace, you will find him or her to be a happy, eager pupil. Tell us how you feel about teaching YOUR child to read. Leave a comment! Some children's book authors are so good they become a part of you—forever. Each generation has its beloved writer(s), but for me and my sisters, Laura Ingalls Wilder was who we wanted to be. And if we couldn't be her, at least we wanted to know her. But since she died before we were born, we had to make do with what she wrote and where she lived. This fall, my sister had occasion to get close enough to the town of De Smet, South Dakota, to justify a trip to Laura's girlhood home. Now a shrine to Laura Ingalls Wilder, De Smet was backdrop to the The Long Winter, By the Shores of Silver Lake and The Little Town on the Prairie, which spanned my favorite years in Laura's growing-up life. The long winter was too short for me. I wanted to get up every morning and bust the ice off my wash water, like Laura. I also wanted to teach in a one room schoolhouse. (Laura hated it, by the way.) My future husband would ride up in a sled—or cart, depending on the weather—and pick me up after I rang the cast iron bell. School's out! And of course, Nellie Oleson would just happen to be passing by, furious that she wasn't the one riding shotgun in whatever sweet ride Almanzo had chosen to bring. I wanted to wear dresses made of organdy, which I pictured being the orange color of those marshmallow peanuts you have to hold your nose to eat. I wanted to make those dresses. Me, a wooden bench, a sewing needle and yards of fabric on my lap—cascading to the floor—is what I dreamed of. I wasn't alone in this. 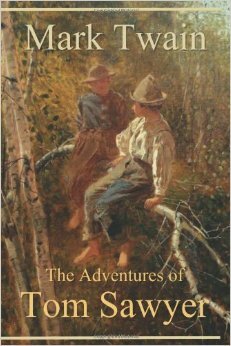 If you've read this far, you're probably one of the thousands of children—now grown—who was smitten by a plucky pioneer girl named Laura. But others might describe it as All Things Laura. Devotees are strategically situated throughout the town to reveal tidbits about Laura and her family that you might not have heard before. (We want them all. Every single one.) The First School of De Smet, where Laura was a student, is still standing, but the Brewster School, where she taught, is a replica. There are all kinds of staged scenes in each of Laura's dwellings with period furniture, clothing and toys like the ones Laura 'might' have used. Laura Ingalls Wilder described her early years as being full of "sunshine and shadow." The books were about the sunshine—the shadow, not so much. My sister was surprised that Pa had to abscond with his family in the middle of the night from Burr Oak, Iowa, due to the landlord 'not being reasonable.' And apparently, while Almanzo Wilder saved the starving town by making a dangerous run in a blizzard to buy some harvested wheat, the Wilder home MIGHT have harbored a false wall, behind which the family was secretly hording its own stash. But the biggest surprise was that the entire Ingalls family lived in South Dakota until they died—either together in one home or within spittin' distance of each other—except for Laura. Laura settled in Mansfield, MO, with her husband, Almanzo, and only saw her parents once before they passed away many years later. What?! Only see Ma one time over a period of 35 years? Good, kind, gentle Ma (even if she was a bit stern)? And Pa, who played the fiddle that Laura so loved? What are we missing here? As kids, we wanted to live with the Ingalls, yet Laura appears to have left them behind in De Smet, no hurry to go back. We may never understand this. But living was hard on the plains in the late 19th and early 20th centuries, and the Ingalls bore their share of tragedies, many of which were not included in the books. If the pioneering life wore them down, we can only imagine the toll it took on their family. If you're thinking about visiting a favorite children's book author's home town, brace yourself. You may end up feeling sort of sad. Your journey through the books was yours alone, and adding facts to your memories might not play out the way you think it will. But if you're OK with reframing your childhood fantasies, have at it! Just be aware that you might alter forever the part of you that was formed by a complete stranger who felt like a friend. In other words, think long and hard before you buy those tickets to Edinburgh. I'm just sayin'. Phonics Based Reading vs. Sight Reading: The Battle is Over. You don’t need to worry about this. The two are perfectly compatible. If you are teaching your child to read at home using phonics and your child is learning to memorize whole words at school, you will find that they both work well together. Since your child is learning to master the ability to sound out words phonetically, it’s OK to introduce sight-reading. Phonics is a wonderful foundation. It’s the building block of the English language. Your child must be familiar with those building blocks to effectively tackle new words. However, you don’t want him to have to ‘rebuild’ every word he reads. Sight-reading practice will help him absorb whole words at a time, thereby more readily catching on to the larger meaning of a sentence or even a paragraph. Phonics-based Reading: What about the Whole Language method of teaching reading? Kids are motivated to learn to talk. Introduced to schools in the 1980s, Whole Language takes a holistic approach to teaching children how to read. Words are deciphered by using the context of the story, the pictures and the sentences. (There is a lot of sight-reading in this method, too.) Simply surround new readers with the written word in fun and meaningful ways, and they will start to get it. The Whole Language approach is loosely based on the premise that children can learn to read the way they learned to talk. One of the problems with this notion is that toddlers are motivated to learn how to talk. If someone is babbling at them, they want to know what’s going on. When the big kids are playing a game, the little one is all ears. And except for when babies are sleeping, they are practicing all the time. As far as small children are concerned, reading is optional. (OK, it’s not really. But they don’t know that yet.) Some kids are motivated to learn how to read, but for others, it’s too much work to figure out. If reading is presented to this kind of child in an unstructured ‘guessing game,’ he’s not going to get it. And then later, when he realizes that being good at this game informs everything else he does, the anxiety sets in. Another issue with the Whole Language method is that when the words become harder and the pictures in books go away, children don’t have the tools to ‘guess’ anymore. They might have a hard time reading words they’ve never seen before. Even a strong reader (a smart guesser!) can start to display signs of trouble by fourth grade. And by then, it’s really late to do something about it. More recently, the Whole Language method of teaching reading has fallen out of favor with a lot of educators. However, many schools still incorporate this style of learning—they just don’t call it that. But it’s OK if that’s what you suspect your child’s school is doing. Most likely, your child is getting the best efforts of a teacher who cares about his or her well-being, which counts for a lot. And if your child learns the code from you, he or she will thrive, not matter what. The neat thing about phonics is that it’s sequential and logical. Once you’ve learned it, you’re done with it. From then on out, reading is something you simply know how to do. Everybody seems to have an opinion on this. Leave a comment! Free eBook: "Can I Teach My Child to Read? A Parent's Guide"
If you are interested in teaching your child to read, I'm pleased to announce a new resource for you: Can I Teach My Child to Read? A Parent's Guide. This free guide discusses the joys of working with your child at home, why phonics matters and tips on how to make it easy for you to teach your child to read. In Chapter 5, you will begin teaching your child to read with lesson 1 of Teach Your Child to Read™. You are exactly the right person to teach your child to read, and this guide will tell you why. Have You Ever Wondered: "Can I Teach My Child to Read?" 1) The time you spend with your child is something you will always remember as special. Most likely your child will, too. 2) Your child gets a head start. Early readers tend to excel in school. 3) If your child has a learning style that is incompatible with how the school is teaching reading, he or she will have the one-on-one coaching (and phonics-based instruction) that you are providing at home. If you have doubts about your ability to teach your child to read, join the club! Many parents aren’t quite sure they’re equipped for the task. But you are. And if you don’t believe it, challenge that by surrounding yourself with people and resources that assure you that you can teach your child to read. Can I Teach My Child to Read? A Parent's Guide was designed with you in mind. No need to wait. Can I Teach My Child to Read? A Parent's Guide eases you into the idea that you can do this. Download your copy for free and read it from cover-to-cover in a single sitting. (It’s only 40 pages.) By the time you finish reading, you will know exactly what to do in your first lessons. And once you get started, you’ll see how easy it is. Before you know it, you and your child will be on your way! Leave a comment. How do you feel about teaching your child to read? Children's Book Author: Did J.K. Rowling Just Get Lucky? Perhaps there was an element of ‘luck’ to the record-breaking popularity of the bespectacled, black-haired boy dreamed up by children’s book author J.K. Rowling. After all, a lot of events had to fall magically in place before one small publisher finally decided to gamble on Harry Potter and the Philosopher’s Stone. Legend has it that the publisher decided to move forward with the book when his eight-year-old daughter read the first chapter and asked for more. So what does ‘luck’ look like to you? (For example, what does it mean when you say ‘just my luck’? Has something devastating—or spectacular—happened?) Behind every stroke of luck there is typically an iron-willed belief and a lot of hard work. And when these two get together, luck happens. According to the well-known story, Rowling mapped out the plot for her first book on a train. The idea of this boy-who-was-a -wizard-but-didn’t-know-it came to her and she simply couldn’t ignore it. Her description of the experience almost sounds like she was receiving a ‘download.’ She could hardly write fast enough to keep up. Where was that stream of consciousness coming from? We don’t know. But what we do know is that Rowling was an open vessel, ready to receive what was coming to her. She was enchanted by the story and held the belief that she was the one to write it. Perhaps you’ve had a similar experience with your writing. Do ideas follow you around, begging you to write them down so other people can hear about them, too? If so, you might be surprised by what happens when you sit down to actually write. When an idea is stalking you, there is usually a lot more to follow. The act of getting it on paper may have a quality of ‘effortlessness’ to it. Rowling describes her books as touching on religious themes—but not overtly. She is a master at telling a story that has multiple layers, but all she does is tell it like it is. Discovering the universal truths in her mythology is up to each of us to do for ourselves. And when we do, we feel something. The Harry Potter series weaves a golden thread of longing, hope, magic and love, beginning with The Boy Who Lived and not stopping until the end. There’s a lot of darkness in the series, too. This epic tale appeals to the hero inside of us—child and adult alike. I asked one (young) reader what he liked so much about Harry Potter. His answer was simple: “J.K. Rowling is so creative.” But these words didn’t come close to expressing what was on the boy's face—the way it lapsed into a dreamy, far-away look at the mere mention of his beloved Harry. Now a college student, this young man has read the entire series at least 20 times. Winfrey: But isn’t it interesting that in the first book, when Harry is being dropped-off at his uncle’s, it is predicted – ? Rowling: One day every child in the world will know his name. Winfrey: One day every child in the world will know his name. Winfrey: Philosopher’s Stone which became Sorcerer’s Stone. Wow. Great insight. One that begs the question: If you are a writer, are you listening to the voice in your head? Is your heart telling you it’s a go? If so, now may be the time to follow Rowling’s lead and start creating your own luck. Just make sure it’s the good kind. By ‘big’ I mean full. Expansive. Teaching kids to read sets their imaginations on fire. So does playing, coloring—even a video game can spark some juice up there. But nothing works like reading. Why is reading so important for developing the imagination? Because reading is work. Think about it. When you watch a great movie, the director has created all of the scenes for you. All you need to do is sit back and enjoy. Certainly, good films can go straight to your heart, but they don’t have to work too hard to get there. A well-developed imagination knows how to solve problems. It has a way of mobilizing when something needs fixing. Should we do A or B? What would the ramifications be of each? What could the outcomes be in each scenario? Dreamers think big and figure out how to move mountains when they need to. Imagination can release someone from a traumatic situation. Re-framing a tragic event by telling oneself a new story about it can relieve suffering and soften a painful memory. Without imagination, the mind can get stuck on ‘what happened.’ This is okay, of course, if someone needs to hold on to the story. But repeating the same story can last a lifetime, and moving on to a happier existence might mean a creative re-scripting of the past. People with great imaginations are never bored. Waiting in a long line? No problem. One’s own dream world can occupy the mind for hours on end, so that stretches of time with nothing to do invite flights of fancy that take you to faraway places. And speaking of faraway places, teaching kids to read gives them the chance to travel. Differences between nations and their inhabitants blur when kids read about people who live in unfamiliar worlds. Readers become the characters in books. Children have an intimate knowledge of what it’s like to go to wizard school, be a vampire or get stung by a scorpion as an Olympian half-blood, simply by snuggling up with a bound stack of paper with printed letters on it. In some circles, imagination is the real thing, and reality is merely what we’ve decided is true in order to keep things small, manageable and not scary. I happen to ascribe to this. The universe and its powers are vast, and scientists are demonstrating in new ways how the mind creates ‘waves’ of energy that seek similar frequencies. These matching frequencies can create new realities that are more suitable to the thinker by ‘magically’ making things happen that seem impossible. 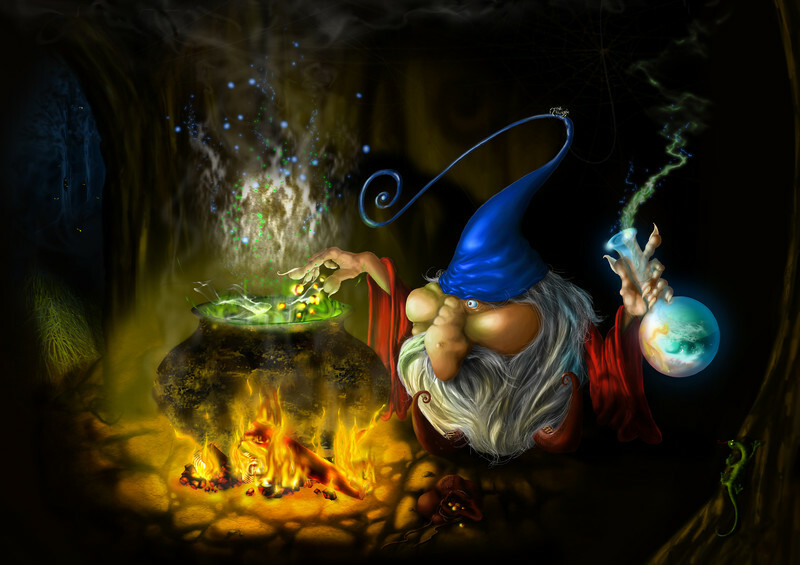 When someone applies their imagination to what they want to create in their lives, things begin to happen. Like amazing coincidences. Or meeting the right person. Or getting a job that had no chance of happening. People who are tapping in to this ‘secret’ are using their imaginations to create new life situations for themselves, their families and even the world. And who wouldn’t want that for any child? Celebrities who make it big in one way (say, making movies) are often gifted writers, artists and athletes, too. Not fair, I know. But that’s just how it is. So it shouldn’t come as a surprise that famous people have written some terrific books for kids. 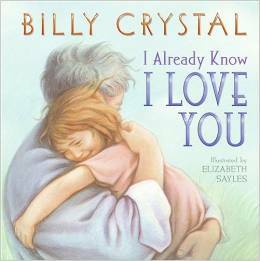 Books for Kids: In this beautifully illustrated tale, actor and comedian Billy Crystal writes a poem to his grandchild before they meet. It might appeal more to grandmas and grandpas than to kids, but it’s a heartfelt love letter, penned before the child is born. Books for Kids: I loved Bill Cosby as a kid. We had a bunch of his comedy records (vinyl! ), and I listened to them over and over. The ones we had were clean enough for the whole family to enjoy. Then, as a young mom, I was a total fan of Cliff Huxtable, father of five on the Cosby Show. In my mind, Bill Cosby is the perfect guy to write for kids. Plus, some of his books are ‘chapter’ books, which are hard to find. You might like One Dark and Scary Night if your child is afraid of bedtime lights out. 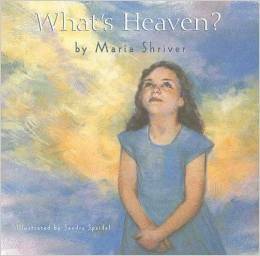 Books for Kids: When her great grandma dies, a little girl named Kate contemplates what heaven is like. The illustrations are to die for. (Sorry.) Shriver’s view of heaven is a traditional one. If yours is, too, you might enjoy reading this book to your child. Books for Kids: A New Earth, by Eckhart Tolle, was one of the most important books I’ve ever read. I think Tolle’s writings are changing our planet—in a good way. Why am I saying this? To soften the blow. 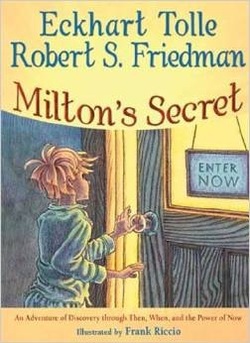 I felt that Milton’s Secret was preachy and contrived. But it is one of the few books that teaches children how present moment awareness can relieve suffering, so hats off to Tolle for writing it. Books for Kids: You know you’ve made it when you don’t use your last name and people still know who you are. (It's Ciccone, by the way.) 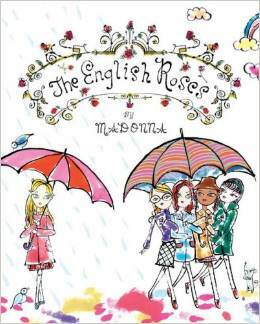 Madonna wrote this charming book, adding to her repertoire of things you can buy from her. It’s cute! It reminds me a little of the Madeleine books, maybe because it takes place in a European school and stars a bunch of girls. It also deals with the human capacity for judging someone harshly. Books for Kids: I always wanted to ask Guinan for advice! But if you can’t have the bartending Star Trek sage, this book is the next best thing. 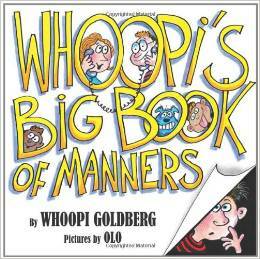 Maybe Goldberg was bemoaning the lack of manners in our culture, but whatever the reason, she did us all a great service by writing this guide for kids. And the pictures are fun, too. 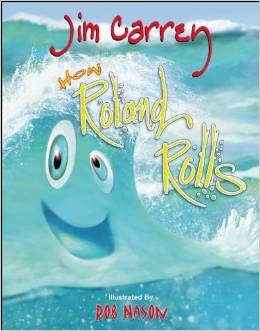 Books for Kids: This is a simple story about a tiny wave who ultimately discovers he is part of a vast ocean. A metaphor for our planet and how we are all one, Jim Carrey writes about How Roland Rolls: “The message of the story will help [children] feel connected, worthwhile and a part of something vast and grand.” What greater gift could a story offer your children? If you grew up on a steady diet of good children’s literature, you know what your child is missing if he or she doesn’t spend much time reading. But getting kids to read isn’t easy. Today’s culture doesn’t set aside down time for doing ‘nothing’ the way we used to. As kids, we turned to books on hot summer days when there was nothing to do. Or on rainy days, when it was too cold and wet to go outside. And who doesn’t remember those temperate, not-a-cloud-in-the-sky Saturdays when mom or dad told you to put that book down and go out and get some sunshine? If this was part of your childhood, you most likely want that for your child, too. Try these 5 tips for getting kids to read. 1) Books by mail. Kids love to get mail. Join an online book swap, so your child can choose his or her own book and order it from another reader. You will be pleasantly surprised to see your child checking the mailbox for the latest book, then reading it as soon as it comes in. The only cost you incur is postage to send your contribution to another little reader. 2) Front yard libraries. Start a Little Free Library—you can buy one or make your own. These free-standing libraries hold about 20 books, and you can set them up in your front yard or on community property. You may want to restrict this “Take a Book, Leave a Book” concept to children’s books only, or you can extend the service to everyone. Your child will love checking it every day to see which books were taken and which ones were dropped off. As an added benefit, neighbors with children will stop in front of it, giving your child a chance to meet new friends. 3) Book clubs. Start a book club for a small group of your child’s friends. Your child will look forward to reading the book, and the ensuing discussion will help him or her come to understand books in a new way. 4) Book shopping. This one may sound simplistic, but it works. Let your child buy a book every now and then. Ownership creates responsibility. If your child spends his or her time at a bookstore choosing the perfect book, the likelihood of that book getting read goes up. If there are no bookstores near you, try a book-of-the-month club. The point is, let your child choose the titles. 5) Role models. If you have your nose in a book, chances are, your child will, too. Rather than reading at night before you go to bed, read during the day so that your child can see that reading is a ‘big people’ thing to do. Better yet, each of you grab a book, go to Starbucks and order a latte for you and a smoothie for your child. Curl up in those big, comfy chairs and read away. As an added bonus, sometimes bookstores are connected to coffee shops. You can make a day of it! If you are tired of nagging your kids to read, try some of these tips. Make it a family affair, and you will foster that love of reading that you so badly want for your children. Getting kids to read is a lot easier when you make it fun! Leave a comment. What do you do to get your kids reading? Write a Novel: No More Excuses! A lot of people have one inside of them. A novel, I mean. They think about it, they tell people about it—they might even sit down and write a few pages. But why do so few actually finish writing a novel? For starters, it’s a big job. And when you have a lot of other things to do, it’s easy to shove your book off to the side, to be written when you have more time. But if you are able to save it for later, it’s probably not burning a hole inside of you. (And if that’s the case, ‘later’ might never come.) If your unwritten novel haunts you when you’re at work, if you’re developing plots at night before you fall asleep and you’re annoyed with yourself when you see a novel that you could have written hit the bookstores, perhaps it’s time to figure out what’s stopping you. Most likely, you know who these people are. And if you find yourself unable to resist sharing your enthusiasm with them, you may want to ask yourself why you are opening yourself up to their lack of faith in you. Could it be that they are mirroring something inside of you about your ability to do this? If so, be aware that you will continue to seek naysayers until you believe you can see this project through to the end. If you need to confide in someone, choose somebody who has always been your champion. As for everybody else? Resist the temptation to share. That way, their negative vibes won’t bring you down. If Phileas Fogg can get around the world in 80 days, you can certainly write a novel by then, too. Consider this: if you write 1,000 words a day, you will have completed your first draft of an 80,000 word novel (a good length for most debut novels) in less than three months. Writing for kids? You’ll be done in six weeks. But maybe 1,000 words a day demands more resources than you have to spare. No worries. Cut it down to 500 words. Still too much? Shoot for 250. The point is, if you break it up into bite-sized chunks—whatever that means for you—it will be easier for you to set up a schedule and stick to it. By doing this, you'll end up with a completed novel, ready to pitch to agents in 2015. Let your time with your book be your favorite part of the day. Look forward to it. Savor it while you are engaged in the work you ‘have’ to do. You will find that once you begin writing on a schedule, your novel will stop torturing you. Rather, you will find that the mere thought of it can buoy you up—even when other parts of your life are weighing you down. Why not tackle this mountain with a climbing buddy? You probably have a friend who wants to write a novel, too. If not, I suspect you do have a friend who would be willing to hold you accountable, and perhaps even read chapters to give you feedback as you write. Or maybe you feel as though you need a real taskmaster to help you get through this. For those of you who are tired of ‘wanting’ to write a book and ready to get it done, you might benefit from the upcoming National Novel Writing Month. NaNoWriMo is a non-profit organization that provides support for first-time novelists who are willing to commit the month of November to writing that first draft. On an international scale, you can join with other writers who are sick of hearing themselves talk and are ready to write—a whole book in 30 days. Through this organization, you can enjoy pep talks, inspirational stories, contests and forums, but most importantly, you can join thousands of new novelists who have decided that the time is now (or more precisely, November) to get that story written. Ever hear about the legendary warrior who led his troops by sea onto enemy shores? When they reached land, he ordered them to burn their boats. Think about what it would take for you to embark on this adventure, with no turning back. Once you’ve written one novel, it’s a lot easier to write the second one, which is how most novelists turn writing stories into a career. How about you? Do you have a novel inside of you? Tell us about it! Not all boys hate to read. But a lot do, and those are the ones we’re talking about here. If a middle-grade boy is a reluctant reader, he’s setting himself up for a lifetime of problems he could have skipped—if only he knew how to read. Let’s face it. Poor readers stress about school, tend to have lower confidence outside of school and often grow up with the intention of quitting their education as soon as they are allowed (by the state, mom or dad). And where does that leave them? If you’re a parent with a boy who doesn’t like to read, you are probably desperately seeking ways to inspire him to pick up a book. What does your son like to do? Is he a baseball fan? Does he like to cook? Is he into dinosaurs, bugs or spaceships? Surround him with books about his favorite topics. There is no need to offer him variety. If he only wants to read about World War II military strategy, let him. I know one fourth-grade boy who only wanted to read about that, and he exhausted the supply of books on military history at the local library. There are certain genres of books your son might enjoy. One mom told me that her reluctant reader really liked books with talking animals. They weren’t easy to find, but she worked hard to keep him in a steady supply until he became an independent reader. If your son likes one book, find out why and hunt down more of the same. If your boy likes comic books, take regular trips to the comic book store. Try a subscription to a magazine. The stories are short and there are lots of pictures. Video game fanatics might be more willing to read stories online. Download books for your gamer to read on his computer. This article has a list of websites where you can get books for children online. Some of them are read aloud, but others are digital downloads. Make a trade. If your son reads a book, plan a reward that relates to the book. If he finishes a book on baseball, take him to a baseball game. If the book is a fictional account of an historic event, take him to a site where he can learn more about what really happened. And if he reads a book about two kids going on an adventure and getting in trouble, let him set up a tent in the back yard and have a sleepover. Some of the books on this list may be too challenging for your reader. If that’s the case, choose the abridged or graphic version if it’s available. Usually, the graphic version of a novel is shorter, and of course, children love the artwork that illustrates these timeless stories. Break your reading challenge into manageable chunks, and your son will be more likely to get through the whole book. For example, give him a gold star when he finishes a chapter. That way, he can see tangible results as he works toward his goal. One caveat: Be careful not to make the experience punitive by constantly reminding him that he doesn’t get the prize if he doesn’t read the book. Let him be in charge of his own destiny. If he chooses to forgo the prize, let that be up to him. Becoming a good reader takes practice. Reading grade level material is hard work for a reluctant reader. Rather than making your son struggle through books that other fifth graders are reading, go back down to fourth grade. Find easier books that your child might like. Or even two grade levels below—whatever it takes for your son to be able to enjoy reading. If your son is willing to keep his nose in a book for younger children, he will get all the practice he needs, simply because he is reading. Reading for enjoyment will advance his skills faster than powering through a book that is too hard for him. After all, that’s how his classmates became good readers—mastering easy books and then moving on to harder ones. What you are giving your late bloomer is the gift of taking all the time he needs. And finally, don’t stop reading aloud. Choose books that you think your son could read by himself. Spend time reading to him before he goes to bed, but stop when you get to the most exciting part in the chapter. Lay the book on his nightstand and let him know that it’s now time for lights out. Except, of course, if he wants to finish the chapter on his own. Leave a comment! Is your boy a reluctant reader? Share your own stories about what worked for you. Let's say your main character is a kid who rode on your school bus when you were eight years old. Or, your main character is you when you were eight years old. But now you’re all grown up and this guy or gal is only in your head. Good character development gets these people out of your head and onto the page so they are no longer inside of you. By the time you type The End, your characters should belong to the world. Start by re-introducing yourself to your long-ago friend. Sure you knew this kid twenty-five years ago, but that’s a long time. Remember, if you’re writing in the time-frame of your own childhood, that would be an historical novel. Maybe you wore neon orange and lime-green parachute pants as a kid, but make sure your characters dress the way kids do now. And notice how confident elementary school children are today. They’ll say anything to anybody. Even to grown-ups (with whom they’ll be on a first-name basis). These kids tend to have a better idea of what they like—and don’t like—and they’re not shy about letting you know. Today’s boys and girls are more likely to be best friends with each other than they were back then. They’re tech savvy, and they’re less likely to be playing jump-rope or monkeying around on jungle gyms. And in what appears to be an evolution of consciousness, the children of today are more comfortable with talking about how they feel. You want your readers to get to know your characters by what your characters say and do. Let’s say that you want to show the reader that your eight-year-old protagonist (Jason) is lacking confidence in his ability to swim. Jason hung back. He wasn’t a very good swimmer, and he always felt embarrassed when he thrashed his way across the pool. “I can’t. I forgot my towel.” Jason had hoped that no one would notice that he wasn’t swimming. Sam and Eddie dove into the deep end. The water was a shade darker—and colder, Jason thought—when the drain was so far down you could hardly see it. He grabbed a kickboard from the deck and jumped in. "Look! I'm Eddie! I'm a big baby!" Jason held his nose with two fingers and began splashing his way across the pool. The spastic sound of his feet slapping the water trailed behind him, but all he cared about was the clock on the wall over the picnic tables. Two more minutes, and the lifeguard would blow the whistle for adult swim. A general rule of thumb is this: when your character talks, the reader should know who’s doing the talking without any prompting from you. While this can’t be the case for every line (Wow! Cool!—all kids say that), it’s helpful to think about this ‘test’ as you’re writing dialog. Each character should have a unique voice. I recall reading a book one time and wondering why it wasn’t working for me. It wasn’t until after I had finished the whole thing that I realized all of the characters spoke in the same witty banter. While there might be one quirky character in a book, they can’t all be. The others need to be something different to provide contrast. Mostly because that’s how it is in real life. Everybody’s different. And in order to create a scenario that your readers can get lost in, they need to feel the way they do when they meet real people—interested, curious and wanting to know more. So you’re ready to write that novel. It’s been festering in the back of your mind for weeks—or years—and something about this moment is making you say “It’s time.” Short of a professor who threatens you with an ‘F’ if you don’t turn it in, how do you make sure you get it done? Join a writer’s group. Or start one. It’s not easy to add one more commitment to a long list of things you have to do, but if you want to hold yourself accountable for writing a whole book, you’re going to need help. You’re going to need about two hours a week to meet with your new group, and about ten hours a week to write your book. So where’s the time going to come from? Think of it like this. If you were going to be a chocolate maker, you would need to sample a lot of chocolate. But at some point, you’ve got to stop eating chocolate and start making chocolate. Over-indulgence will make you sick. You’ll get frustrated by all of the bad chocolate out there and how you could do it better. And when you taste a heavenly bite? You’ll get depressed, wondering if you could ever be as good. Sound familiar? If this is how you feel when you browse through a bookstore, it’s time to stop reading and start writing. When you’re deep into your novel, you can start reading again. That’s when reading becomes an education rather than a pastime. Mine wasn’t. My group was mean. And because of it, I have a much better novel. Finished and polished. Identify what’s working and what’s not. Pretend the author isn’t even there, so that each person can speak freely. Warn all members that the goal of the writer’s group is to get published and that it might be difficult to sit through the criticism at times. But also let them know that if they stick with it, they will surprise themselves with how good their writing becomes—and how bad their early stuff was. (I can attest to this.) You can’t see it without help. Talk to people you know. Most likely, there is another closet novelist in your office, school or neighborhood. But if not, go to www.meetup.com or www.craiglist.com —two great sources for finding like-minded individuals. And if you can’t generate local interest, go wide. You can hold your meetings via Skype or Google Hangouts. Don’t worry about needing to find people who are writing in the same genre as you. A good book is a good book. The members of your new writer's group will have been voracious readers for years. They can help you identify qualities about any style of writing that are uniquely yours—the good, the bad and the ugly. Dumbing it down for kids. If you're writing middle-grade fiction, don't do it. Writing for kids is easy. The words are short, the books are short—the readers are usually pretty short. They’ve got to be less discerning than adults, right? If your book is about wizards, mean girls or vampires, you might have a shot at going viral with a mediocre tale. But don’t count on it. Children have a sensor inside of them that gravitates toward good writing. Well-written children’s books rise to the top. And although it might look like an author simply got lucky by thinking up a good story, if you were to deconstruct that story, you would find an intricate piece of work that took a lot of time, thought and false starts to write. Children are people, too. 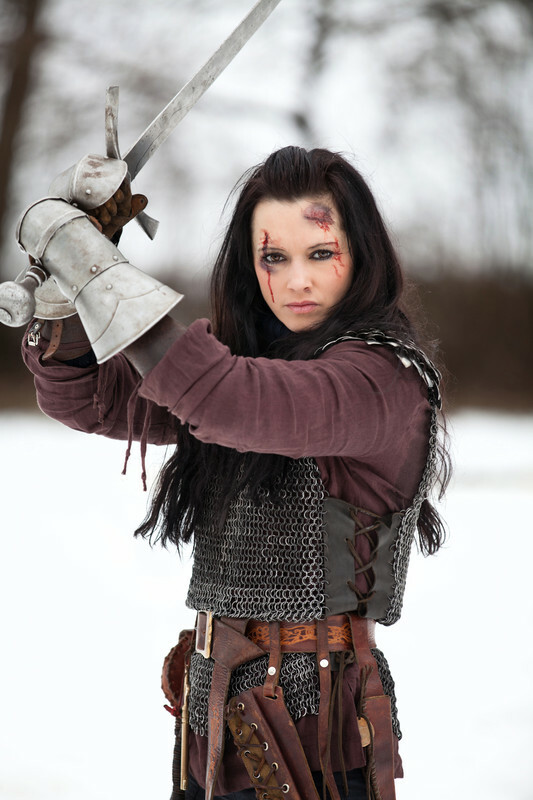 Myths, archetypes and human struggles resonate with them as they do with us. Kids want to cry, laugh, side with the hero and imagine themselves in the situations they are reading about. If the language is trite or the plot is forced, nothing happens inside. Write for the heart and you’ve got something worth reading. In some ways, writing for children can be more challenging than writing for adults. If you’ve ever seen sketches of Picasso’s bull, you will know what I mean. Picasso went through multiple iterations of a finely detailed sketch before stripping everything away. In the end, The Bull was a simple form—a suggestion of a bull—now on display at the MoMa. Make sure your book has substance, especially between the lines. Your readers might not see it, but they’ll feel it. Children's books have a singular theme. Harry Potter aside, children usually prefer to follow one story at a time. Subplots bore them. If they’re headed down one path, they don’t want to be taken down another. Adults are a little more patient with this. We like to savor our books, make them last. If we have twenty minutes before bedtime to read, we feel lucky. Children inhale books. They want to get to the end, even if they’re having a good time on the way. If the hero is on the verge of discovery (or death, or losing some kind of conflict), it’s best to stay on that track. Writing for kids and the concept of time. Pick up any work of middle-grade fiction—Harry Potter aside—and you will find that most of them take place within a few days. Maybe a few weeks, but seldom will they span a year. Kids have a limited view of the future. If something big is going to happen on Saturday, that’s about as far out as they can see. Young readers are going to want to experience your hero’s day. A rock comes through the classroom window with a note attached to it. The new kid smells like a banana. A best friend’s desk is empty, and the teacher looks like she’s been crying. The math problem on the board is a string of mysterious—yet strangely familiar—numbers. A secret code, perhaps? All of this needs to happen even before the bell rings for lunch. It goes without saying that a kid’s book should move along at a pretty good clip, Harry Potter aside. (Sure, the Potter books move. But they also spend a lot of time meandering in the halls, the cafeteria and out on the school grounds.) Keeping the pace up is not always easy to do. There’s backstory that needs to be established, locales to describe, and characters to introduce. Try doing it with dialog. Kids love when the characters talk to each other. How to talk like a kid is a topic for another day, but dialog is a great way to fill in the gaps and keep the story moving at the same time. “My parents told me they’re getting divorce and I have to go live with my dad. He’s moving to Chicago, so I have to start at a new school. I’m really bummed.” Alexander kicked at a pebble with his toe. He didn’t look up, but he knew that Casey was staring at him. Alexander kicked at a pebble with his toe. “I’m not coming back next year,” he said. “Because my mom and dad are stupid.” Alexander wondered if Casey had heard that his parents were splitting up. You may have heard that good dialog sounds the way people really talk. Well, it doesn’t. In real life, people aren’t that clever. And articulate. And they’re not always telling a story, which is a role you can never break when you are writing one. Good dialog is a delicate balance between sounding natural and moving the story along. 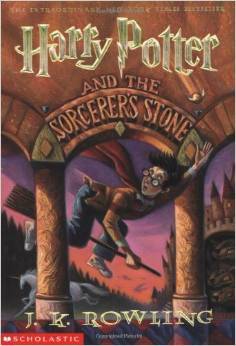 The Harry Potter series violates almost every rule for writing a good children’s book. Genius is like that sometimes. If you have a genius inside of you, throw the rulebook away and follow your muse. Teach your child to read the Secrets of the Purple People. By teaching your child to read, you are sharing wisdom that — until the last one hundred years or so — was imparted to only a chosen few. Not so long ago, reading was reserved for the elite, the revered and the powerful. And if you’re using a phonics-based method, you’re going all the way back to the early Greek alphabet, adapted by the Greeks from the Phoenician alphabet. The Phoenicians were known to have used symbols to help native speakers recognize sounds of words they knew. In the beginning, the ability to read these symbols (consonants only—no vowels) was related to the culture, and a person needed contact with native speakers to understand them. The Greeks changed all that. They added vowels and a system that made their alphabet more portable to other communities. The sounds were no longer attached to meanings. Rather, they were merely assigned to sounds in a word. A writer could actually mix them up to create new words, based only on the sounds. Then the Romans ran with it and created the alphabet we still use today. In other words, it all started with the Phoenicians. The genius of a phonetic alphabet stems from the innovative nature of this early civilization. And did you know that Phoenician means ‘Purple People’? 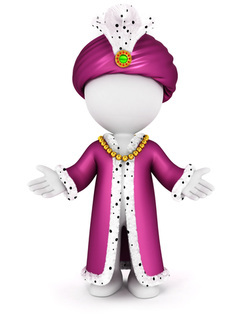 The Greeks dubbed them that because the Phoenicians made the purple dyes for the robes of Mesopotamian royalty, and the dye-makers’ skin would often be stained a purple hue. Teach your child to read. On your lap. Think of yourself as a mentor or a guide, passing on a wisdom tradition that as the ‘elder,’ you are being called upon to do. Kids don’t get enough lap time. If you have a preschooler or a kindergartner, is he or she getting at least some time each day on your lap? At the end of a long day—work, daycare, bills to pay, cars to fix, meals to make—is your child getting the one-on-one attention he or she needs from you? Don’t blink. That soft, downy hair with the baby sweet smell will soon be a wistful memory. Much sooner than you know. And when your child is on your lap and turns to look up at you for reassurance with those bright, wide-open eyes, you will never feel so able to provide it as you do at that moment. You are the elder. With your child on your lap, you are passing down knowledge to him or her that is endemic to a life well-lived. We text, email, post, blog—that’s our tradition. But sadly, many people aren’t very good at it. And just as in 1,000 BC, lacking that skill can separate people. Keep them shut out. Limit their choices. You’ve been chosen. You’re the right person to teach your child to read, opening up a world of choices for him or her. It seems odd to discard a tradition that has stood the test of (a really long) time. If you are teaching your child to read, I would encourage you to start first with a phonics-based method. Phonics can never harm your child’s effort to learn how to read. That’s because English is a phonetic language. You’re teaching your child exactly what is on the page in front of him or her. But you can cause problems if you skip phonics. Phonics is a code. Obvious to some, but to others, a mystery. If a child is not able to decipher that code, he will struggle. And it’s much harder to teach it after he has tried to learn another way but has failed. Because now you are dealing with much more than a missing skill. You will most likely spend years undoing the belief that has developed in your child’s heart that reading is hard and he isn’t very good at it. Nobody wants that for their child. Which is why we take our children on our laps and start teaching them everything we know. Like all the families, tribes and societies that have gone before us. Tell your kids you are teaching them the ancient Secrets of the Purple People. They’ll love that. Writing a middle-grade or YA novel—everybody's got to hate it first. How do you eat an elephant? One bite at a time. How do you write a novel? Make yourself sit down at your computer. Then, get up, go to the kitchen for a snack, eat it over the sink, sit back down again, look out the window and finally, go to Starbucks. At least, that’s the way it was for me. Getting started was the hardest part. After that, stopping was the hard part. I found that I had been thinking so long about my book, that when I actually sat down to write it, the first half or so seemed to write itself. And the rest followed pretty quickly. But then it got hard again. Because once it’s done, you’ll most likely need to start over. It took me about six months to write my 50,000 word middle-grade novel, and about two more years to do enough rewrites to get it in good enough shape to pitch to agents. My second draft was me writing the whole book over, starting with page one. It’s so good, someone might steal my idea. People tell me I should change things, but I’m the only one who knows what’s right for my book. I’m afraid of rejection. What if they don’t like it? I would die if nobody liked it. My editor will edit it when I get a publisher. Let’s pretend that all of these are good reasons to skip the part where you let friends, family and strangers (if they’re willing) tear your stuff apart. Because it is pretending. It’s a bad, bad idea to not get feedback on your book. Solicit as many warm bodies as you can to read it. Your neighbors, your boss, your kids. Join a writer’s group. Upload your book to www.lulu.com or www.amazon.com and self-publish it. Not to sell it, but to hand a paperback to each of your readers. It will be much easier for them to read on paper than online, and they will be more likely to do it. Tell them to read it with pen-in-hand and make notes in the margins. And the worst? When nobody can seem to get through it. I’ve been sooo busy. But I’ll get to it. I promise. After I finish watching the last seven seasons of House in the next few weeks or so. But after you’ve stuck your book in a drawer for awhile, the feedback you’ve been getting will start to percolate. You’ll notice patterns. What your (suddenly smarter) friends are saying will start to make sense. You’ll figure out how to fix it. And when you do, the next round of readers will reflect that. They’ll come back to you a few days later and say “I couldn’t wait to find out what happened.” And instead of telling you what’s wrong with your book, they’ll start musing about the characters and about what happened to them. More like a book club than a billy club. Here’s something I find interesting. I’ve seen writers defend the way they’ve written a phrase, a paragraph or even a plot-line, even though their readers are telling the author that he or she has missed the mark. Think about that one. Is the writer going to have the opportunity to explain his or her logic to everyone who buys the book? If you’re not writing for the reader, you’re writing for yourself. Which is OK, as long as you’re not interested in getting published. Leave a comment! We’d love to hear how you feel when people give you feedback on your writing. 7 tips for teaching a fidgety child how to read. Children want to learn how to read, but let’s face it, sometimes it feels like work. In the early lessons, there are some basics that need to be covered before the real fun begins. Learning all the sounds of the alphabet can take a long time for some kids, but until they know those, they don’t get to enjoy sounding out words and, well, reading. When you are working with your child (on anything, for that matter! ), does she wiggle a lot? Does he want to talk about what he found on the bottom of his shoe the other day? Does she look at everything but what you are trying to show her? If so, good! Your child is perfectly normal. And fortunately, teaching reading with phonics is simple, straight-forward and works like building blocks. Over time, even the most distracted pupil can learn how to read. 7 tips to help you teach a child to read. Praise your child. Reward her with hugs and applause, even when things seem to be moving slowly. There are certain personality-types that will do anything for praise. If your child is one of those, hang a chart on the wall and put a gold star on it each time you finish a lesson. Take her to tea when she earns a week’s worth of stars. Be creative. Draw a picture of a word after she reads it. Or balloons when she gets her sounds right. Get moving. To keep your child physically engaged, let him blow bubbles or throw a ball each time he gets a word right. Check your child’s vitals. Make sure your child is comfortable, well-fed and rested before you begin each lesson. Give it up. If it becomes too much of a struggle, stop and pick up where you left off next time. Sometimes, it’s a good idea to set the materials aside for a few weeks—or months. Take your cue from your child. She might be letting you know that she’s not ready yet. You CAN teach your child to read—even fidgety ones. In any reading program, the lessons really must stick to a 5 minute limit to accommodate the short attention span of a small child. (Or a busy mom!) One of the biggest downfalls is the overzealousness of the parent. It’s tempting to keep pushing everything along so that you can start seeing results. If this is how you feel, please don’t rush your child. There are no deadlines. Try to remember that each lesson is a time of enrichment, not measured success. 'Showing off' your child's reading skills to friends and family may put undue pressure on her. Believe me, as your child's confidence grows, she will proudly display on her own what she has learned! Add to these 7 tips! I'd love to hear how you have helped your child sit still. Leave a comment. Children's books do something to you. Do children's book titles hold the same enchantment for you as they do for me? Anne of Green Gables, The Long Winter (Laura Ingalls Wilder), The Five Little Peppers and How They Grew, The Little Princess (or Sara Crewe), All-of-a-Kind Family, The Secret Garden, The Lion the Witch and the Wardrobe. I imagine you have your own list. For me, these mere words take me back to the world I dreamed up as a kid. A happy world. One that had cozy houses (which all looked the same in my mental construct), bosom friends (to quote the aforementioned Anne) and kids that got to be the star of their own show. Sure, bad things happened. But deep down, I knew that all would be well in the end. Even if someone died. It was just a matter of finding the good in it, which most of the characters managed to do. Children’s books do that for kids. They create threads of feeling inside that stick with them, sometimes for life. They put a frame in place that helps children respond in a more thoughtful way to the real-life story that is happening around them. Sometimes, real-life stories have more drama going on than the ones in children’s books. But happy endings in books give young readers hope. It empowers them. If Sara Crewe can rise above her bleak fate (even before she gets rich in the end), maybe I can, too. First of all, voracious young readers can keep themselves busy (and quiet) for hours at a stretch. But even more, books offer comfort. And big ideas. A book is a friend—especially for the child who could use one. Books don’t judge you. They take you places. And they inspire kids to think in a less linear fashion than they typically do. A good book can flesh out all of the great things you want your children to know but aren’t quite sure how to tell them. Which is why it’s so critical that every child learn how to read. This is my first entry in a blog about reading, writing and kids. Three of my favorite things, which seems like a pretty good way to pick what you’re going to blog about. We’ll talk about reading and children’s books. We’ll share anecdotes, ideas and tips about Teach Your Child to Read™, my phonics-based reading program for teaching young children to read. And writing! If you love to write (especially for kids), be sure to sign up so we can send the blog straight to your inbox. And at any time, I would love to hear from you. This is a much better journey when taken in good company. Tell us about some of your favorite children's books! ﻿﻿Blog about Reading, Writing and Kids:﻿ Musings, stories and tips about teaching children to read and writing books for children. Writer, marketing consultant and author: Teach Your Child to Read™. Online, phonics based reading program. 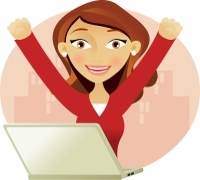 Give us your email and we'll send the blog right to you! Be sure and try Teach Your Child to Read™ for free to make sure it's the right phonics based reading program for you and your child.